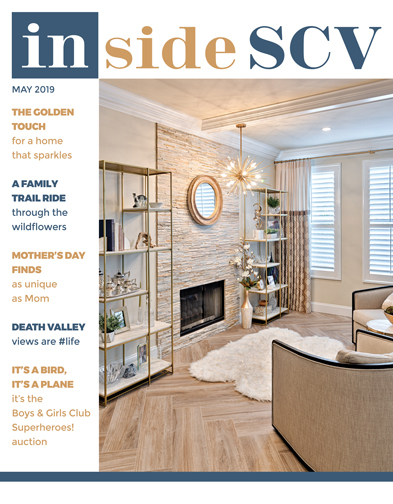 You've probably heard that Santa Clarita is still suffering from a "housing shortage," meaning that there are less homes for sale than the demand in our market. This is good news if it's time to upgrade to a new address, since you'll be able to command a higher purchase price if your house is in good condition. 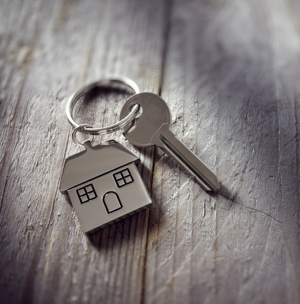 It's especially good news if you own a home that families new to the area could consider "starter homes," usually three bedrooms or less, with square footage not much over 2,000. These homes are in especially high demand and tend to sell very quickly - often with an impressive price-per-square-foot number. Using that extra equity to make a down payment on a newer, larger home can not only improve your quality of life if you've outgrown your current digs, but can provide you the opportunity to make a new, more lucrative, real estate investment. 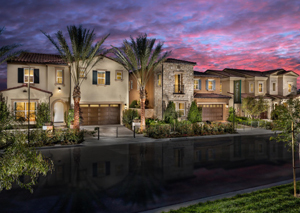 Toll Brothers at Plum Canyon features two communities of luxury single- and two-story homes up to 3,500 square feet, each offering three to six bedrooms and 2.5 to 5.5 bathrooms - on expansive home sites, some with views - as well as access to a refined community recreation center. Priced from the upper $600,000s, these new luxury homes are Santa Clarita's most sought-after address. Packing up your home - gathering smaller items into boxes - in preparation for your upcoming move is a great way to save money. However, the challenge of packing up all of your belongings, especially the fragile items, can quickly seem insurmountable once you get started: Where should I start? What materials will I need? What needs wrapping? What size box should I use? What needs to be packed? What's the best way to pack to ensure that everything arrives safely at my new home? Over the years, Camelot has put together pages of helpful information in print and on the website to help prepare and guide self-packing customers through the process of preparing their home for their upcoming move. Recently we created another resource for DIY clients: Camelot's DIY Packing Center! Camelot clients can go to the office in Valencia to visit our DIY Packing Center, where you will receive hands-on training in packing. Bring in any one item for training on how to safely and securely pack it. The training, your first box and the materials for the item are provided free of charge! This service will be particularly helpful for packing fragile and/or valuable items such as dishes, figurines or small pictures. While Camelot is happy to pack your home for you, we're also happy to share our packing experience with you to help you successfully accomplish the task of packing up your home in no time! Before asking a mortgage broker or lender to find you a suitable home loan, it's important that you take steps to ensure that your credit score is as favorable as possible. 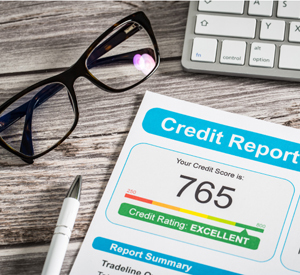 Without a decent credit rating you might be considered "high risk" by many mortgage lenders, and you could struggle to obtain the financing or rate you can afford. Here are some tips on how you can improve your credit rating and help secure that home loan. If you haven't already, request a free copy of your credit report and check it for errors. Your credit report contains the data used to calculate your credit score and it may contain errors. In particular, check to make sure that there are no late payments incorrectly listed for any of your accounts and that the amounts owed for each of your open accounts is correct. If you find errors on any of your reports, dispute them with the credit bureau. Making your credit payments on time is one of the biggest contributing factors to your credit scores. Some banks and credit unions offer payment reminders through their online banking portals that can send you an email or text message reminding you when a payment is due. You could also consider enrolling in automatic payments through your credit card and loan providers to have payments automatically debited from your account. This is easier said than done, but reducing the amount that you owe is going to be a far more satisfying achievement than improving your credit score. Interested in more tips? Then mark your calendar for Tuesday April 11, starting at 6pm, when Fit Mortgage will host "Home Buying 101." Dinner will be provided; remember to RSVP as seating is limited.